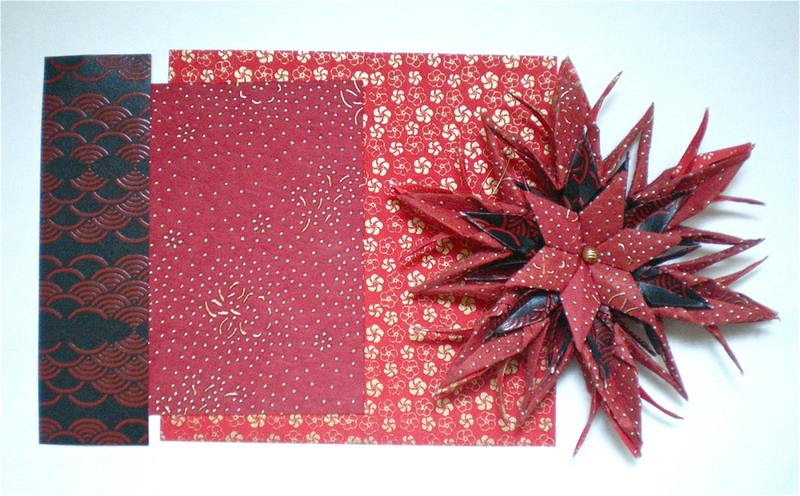 This one of a kind origami inspired paper star is made from 48 pieces of Japanese Yuzen paper and other specialty papers. 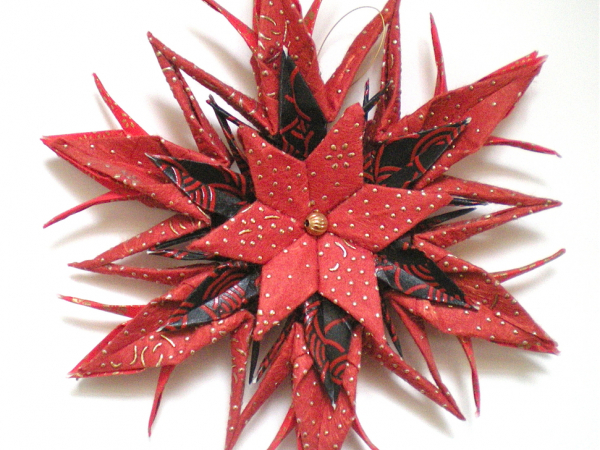 All cutting, folding and construction are completed by the artist. 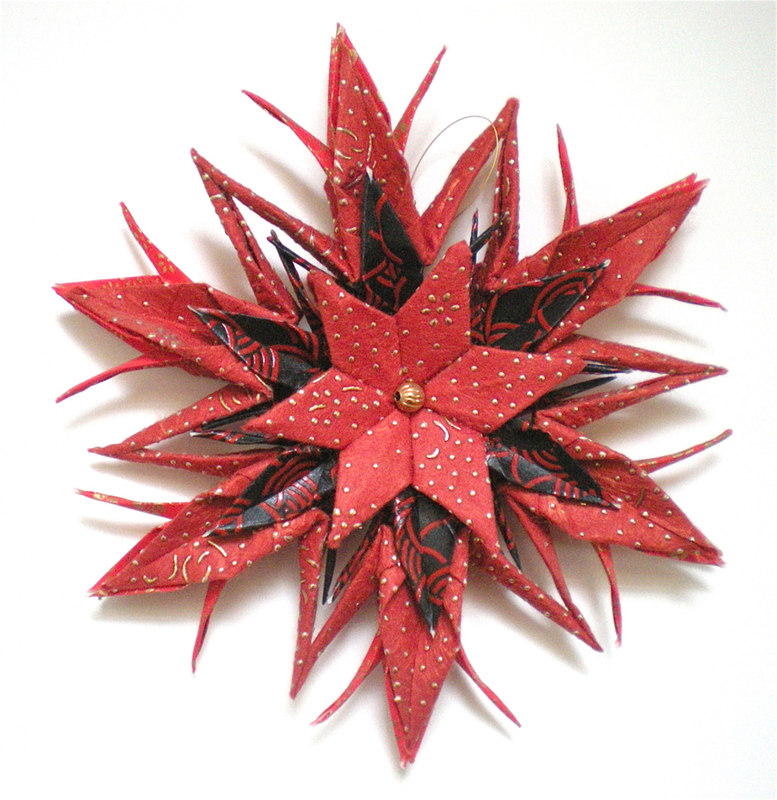 Paper stars are a great holiday or housewarming gift. 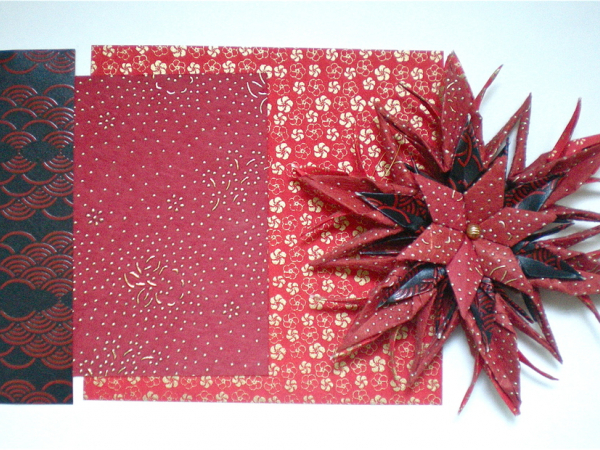 Paper products also make a special 1st year wedding anniversary gift symbolizing strength in connection. 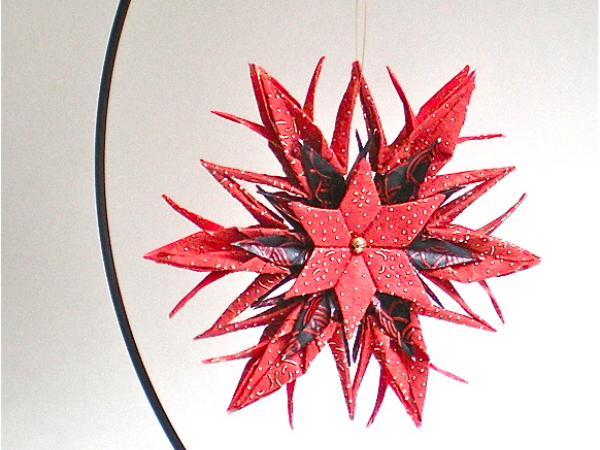 Front and back of star are identical. 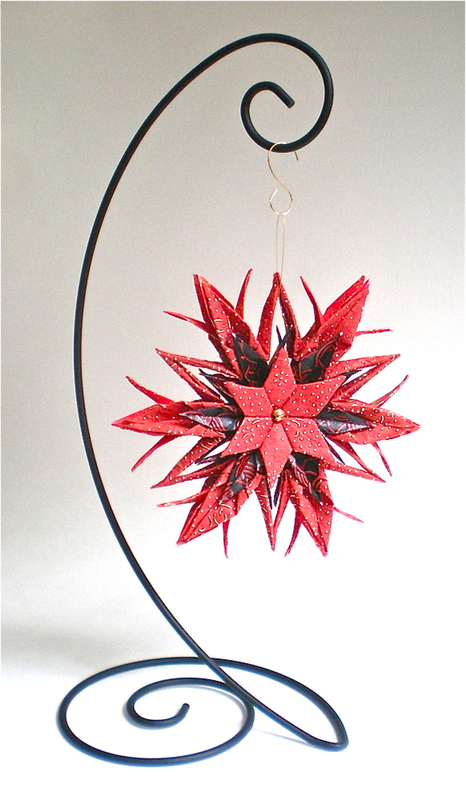 Please note: This star can be purchased with an ornament stand for $58 + shipping. See next listing for order details.